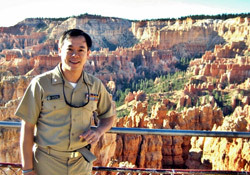 Commander David Wong, MD, is Chief of the Epidemiology and Health Promotion Branch of the National Park Service (NPS) Office of Public Health. 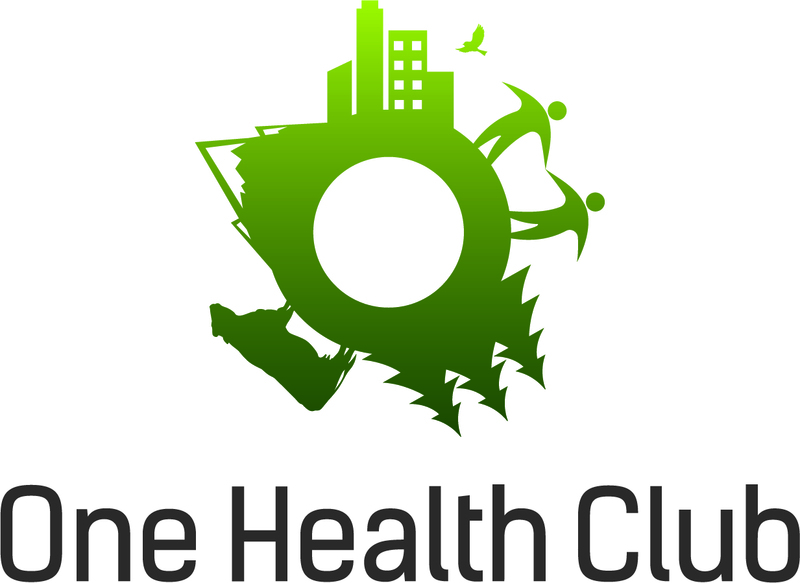 His primary duties include responding to outbreaks and human disease case reports, developing surveillance systems, and coordinating park-based physical activity and nutrition projects with the medical community. From 2002–2006, Dr. Wong was a medical epidemiologist at the Centers for Disease Control and Prevention (CDC) where he primarily worked on sexually transmitted diseases (STD) research in large U.S. cities and among Native Americans. He received his MD from Duke University. He completed his pediatrics residency at the Children’s Hospital of Philadelphia and then joined the Epidemic Intelligence Service (EIS) fellowship at CDC. Margaret Wild, DVM, PhD, is the chief wildlife veterinarian, and leads the Wildlife Health Program, for the National Park Service. She and her team provide technical assistance and consultation to parks on wildlife health issues, and develop recommendations for national NPS policy on wildlife health and welfare. Additionally, she works closely with the NPS Office of Public Health in the development and promotion of One Health within the NPS. 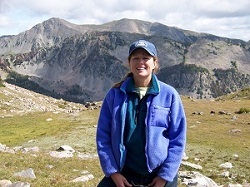 Prior to joining the National Park Service in 2000, she was a researcher with the Colorado Division of Wildlife for 9 years where she focused on disease and physiology research questions, primarily with ungulates and small carnivores. She received her B.S. in wildlife biology (1980), DVM (1990), and PhD in zoology (2002), all from Colorado State University. She maintains an affiliate faculty position in the Department of Microbiology, Immunology, and Pathology at CSU. Karl Musgrave, DVM, MPH, is currently the Wyoming State Public Health Veterinarian. Dr. Musgrave received his veterinary degree in 1988 from CSU and his MPH from Harvard in 1989. He served in the Centers for Disease Control’s Epidemic Intelligence Service from 1990-1992. Dr Musgrave has held various state and federal positions including time as an occupational health epidemiologist at NIOSH and as State Epidemiologist in Wyoming. 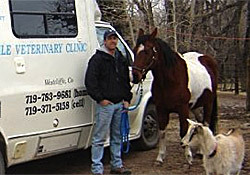 Dr Musgrave also worked as as a mixed animal practitioner from 2004-2007 in the Sangre de Cristo Mountains of Colorado utilizing a mobile RV equipped veterinary clinic. 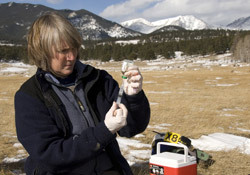 Additionally, information on the veterinarian-based active surveillance programs for zoonotic disease and other adverse health events that Dr. Musgrave oversees may be found at http://www.health.wyo.gov/sho/hazards/wrvc.html. Dan O’Leary, DVM, DACVPM, is a 1988 graduate of University of Wisconsin School of Veterinary Medicine and is board certified in veterinary preventive medicine. He began his professional career practicing equine medicine in Littleton, CO and small animal medicine in Fallston, MD for 5 years before pursuing a public health career. In 1993, Dr. OLeary became a US Air Force Public Health Officer, managing public health and preventive medicine programs for 5 years at Offutt Air Force Base, Nebraska and Ellsworth Air Force Base, South Dakota. In 1998, he entered the US Public Health Service, completing a CDC epidemiology fellowship in Fort Collins, CO, studying Lyme disease, plague, tularemia, and West Nile virus. During 2002-2006, Dr. O’Leary served as CDC’s national West Nile virus surveillance coordinator. Since 2006, Dr. O’Leary has served as a CDC Career Epidemiology Field Officer assigned to Wyoming Department of Health. He travels frequently to Wyoming’s Wind River Indian Reservation to work with the Northern Arapaho and Eastern Shoshone tribes and neighboring health departments to build health programs and partnerships. Dr. O’Leary also serves on several state health committess and is a senior veterinarian on a US Public Health Service emergency deployment team. 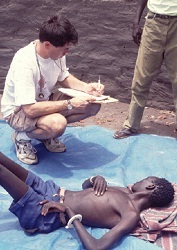 Dr. OLeary’s work has included international projects in Haiti, Guatemala, Puerto Rico, Sudan, and South Africa. Kerry Pride, DVM, MPH, grew up in rural Montana on a ranch and always wanted to be a veterinarian. She attended the University of Idaho and was accepted to veterinary school at Louisiana State University after 3 years. After graduating with her Doctor of Veterinary Medicine, she went to Alaska into private practice. There, she worked on everything from dogs and cats to musk ox and grizzly bears. Dr. Pride had an interest in public health since veterinary school, so she pursued her Masters of Public Health from the University of Alaska Anchorage. Upon receiving her MPH, she applied and was accepted into the Centers for Disease Control and Prevention’s Epidemic Intelligence Service. She started the EIS program this July at the Wyoming Department of Health and joined the United States Public Health Service.